Fuel America is a New American Coffeehouse. We celebrate the American "Can-Do" spirit and diverse melting pot. We exist for those who seek inspiration and share friendships, for those who work hard & play hard. We are for those who live their lives to the fullest every day. Fuel America is a gathering place where we celebrate our American heritage and those who built this country. We see ourselves in them and are reminded we're all on our own personal journey every day. At Fuel, we live to "Ignite Your Journey". This country was forged by coffee drinkers. The great "American Melting Pot" has always had a thing for a really great cup-o-Joe. We agree. Our Fuel Regular is a medium-roasted blend that's bright and rewarding. Patriot's Blend is fully roasted, for a darker, more robust offering - both available in whole bean or drip grind. Unleaded is our ground caffeine-free choice. All of our drip coffees are a blend of Colombian & Brazilian beans and are available at all New England Market Basket supermarkets. We source our drip coffees from Colombia & Brazil. 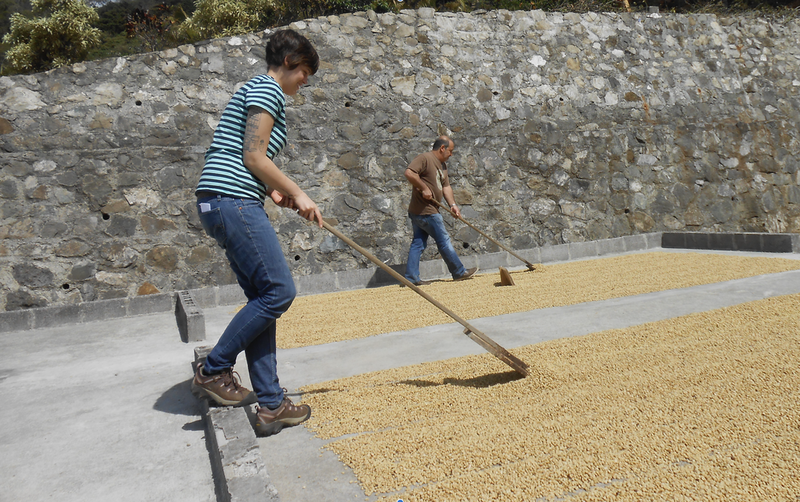 In Colombia, they dry the coffee beans in the sun after de-pulping them. This results in a bright, citrusy flavor. In Brazil they dry the coffee beans in the sun with the pulp still surrounding the bean, resulting in deep, chocolatey notes. This Colombian & Brazilian combination delivers consistently smooth & satisfying flavors on the palate. We make all of our espresso based drinks with locally-sourced steamed milk. We've found that our sweet and intense espresso is best complimented by the frothy, creamy flavor of locally-sourced milk. In the Boston area our milks come from Shaw Farm Dairy in Dracut, MA. A Beverage for Every Body. Inspired by fountain drinks popular in the 1950's, we've engineered healthy modern versions - like Earth Tonic, Mint Aid, Cucumber Ginger and Basil Orange Lime. They include ingredients like mint oil, apple cider vinegar, basil, ginger root, mint leaves and agave nectar. fresh-squeezed orange juice - proudly pressed on premise. (Brighton, MA location). Our diverse beverage selection includes fresh Fruit & Frozen Yogurt Smoothies made from 100% juice + fruit + frozen yogurt. No ice or fillers...ever. We offer Super Berry, Mango, Strawberry Banana and Strawberry Mango. Every day we offer fresh baked goods that perfectly compliment great coffees and teas. Items like buttery croissants, warm muffins and tasty cookies - including our signature oversized Sea Salt & Nutella cookies. White or Multi-Graintoast with Ricotta cheese, honey, mint & toasted sunflower seeds. Our cafes vary from our traditional coffeehouse in Brighton, MA to our unique coffeehouse-roastery in Worcester, MA. "can-do" spirit. For those who work hard & play hard - for people who make the most of their individual journeys - each & every day. Our new coffeehouse-roastery in Worcester, MA affords guests the ability to experience an industrial-modern cafe with a working roastery at its core. Our Worcester-based roastery provides freshly roasted coffee to happy guests and the wholesale supermarket channel. There isn’t a fresher bean around. Our drip coffees (w=hole bean & drip ground) and pods are available for purchase in all 85 New England area Market Basket supermarkets (MA, NH & ME) as well as in 411 Stop & Shop supermarkets located in NY, NJ, CT, RI & MA. In addition, our coffees and Pods are for sale on Amazon.com. Our wholesale coffee business has grown steadily since late 2016. In the fall of 2018, we built a new, state-of-the-art Fuel America roastery-cafe where guests may observe the roasting process while relaxing in the cafe, take tours and participate in coffee tastings. Our goal is to steadily grow our wholesale business, making our premium, craft-roasted coffees available to coffee lovers throughout New England and beyond. Every week we travel to Market Basket supermarkets to serve customers free cups of our sweet, earthy Fuel America coffees. We currently provide free coffee tastings weekly at all New England Market Basket supermarkets. 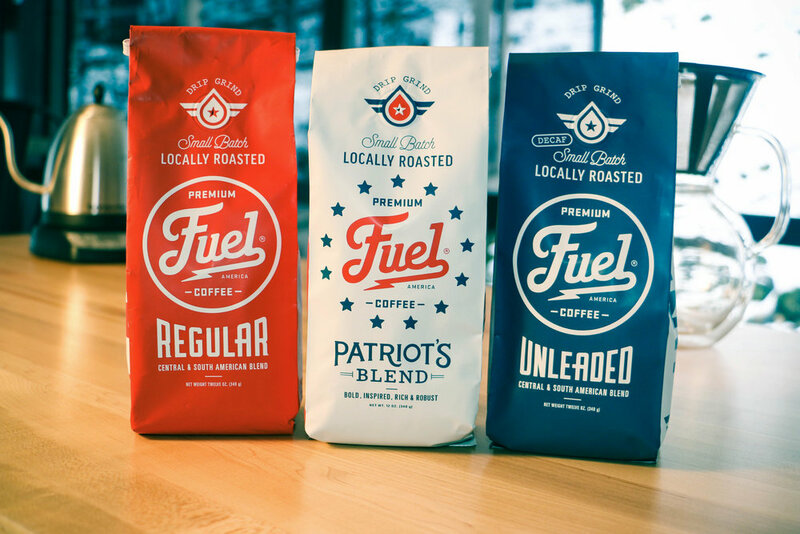 We currently offer Fuel America Regular, Patriot's Blend and Unleaded (decaf) in whole bean or drip grind in the supermarket channel. In the future, we plan on offering additional select single origin coffees, espresso and seasonal selections. Click to purchase Fuel America Gift Cards.